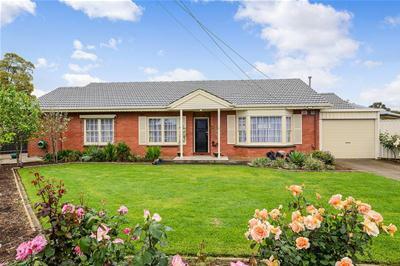 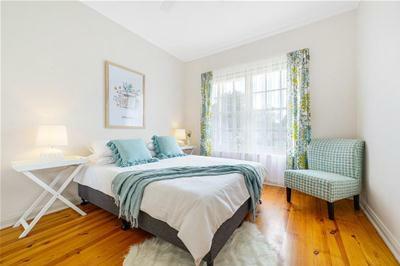 Well presented in this near city location and sited on a fully fenced, auto gated corner allotment of approximately 584 m2 is this appealing Colonial style home. 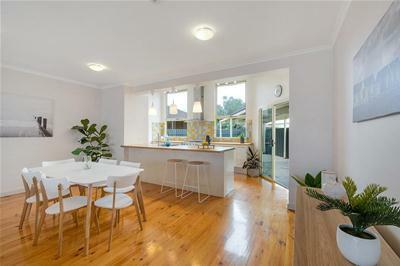 Kept comfortable by ducted evaporative cooling and gas heating it boasts high ceilings and solid timber floorboards throughout. 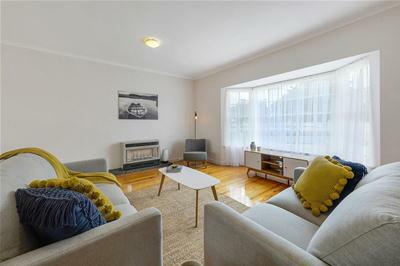 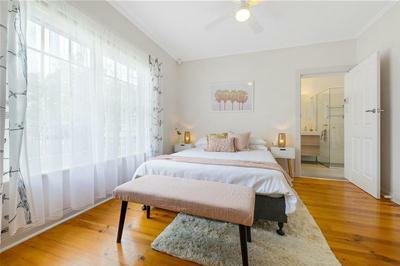 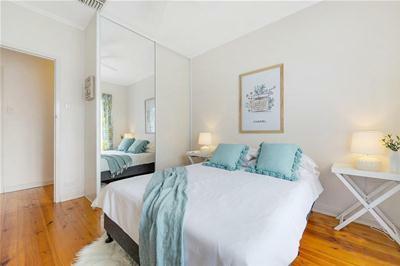 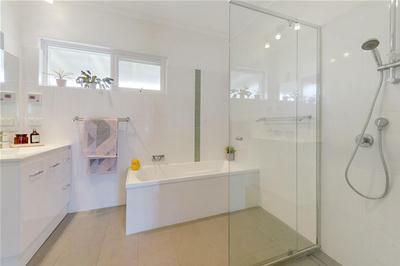 The light filled interior comprises 3 good sized bedrooms. 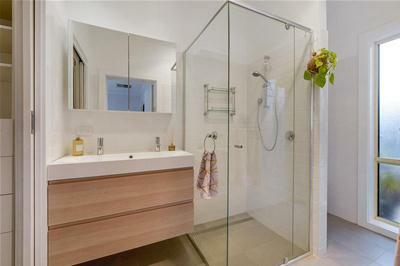 Main has ceiling fan, a new ensuite bathroom and walk in robe with built-in shelving, drawers and hanging space. 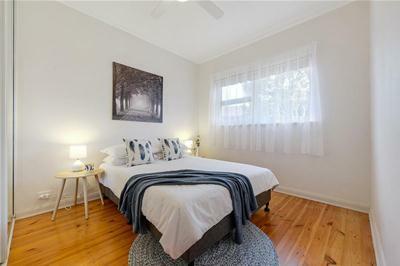 Bedrooms 2 & 3 have ceiling fans, mirrored robes and both share a white tiled full bathroom which has been completely renovated. 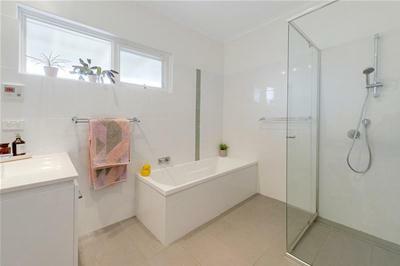 The nearby separate laundry with built in cupboard has access to outside covered clothesline and backyard. 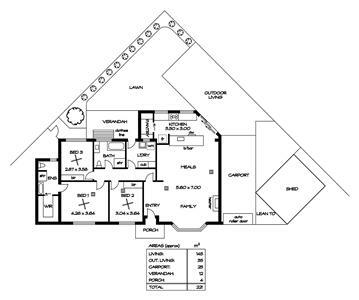 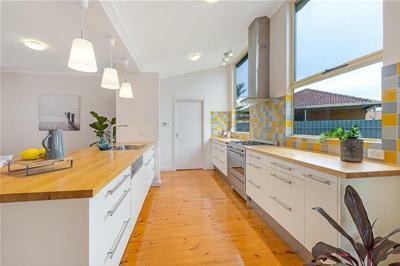 Impressively generous in size is the open plan kitchen/dining/family area. 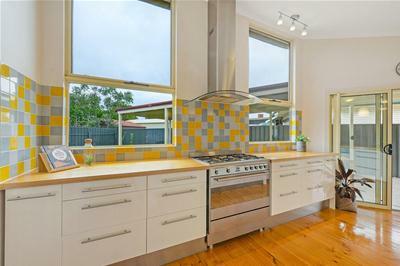 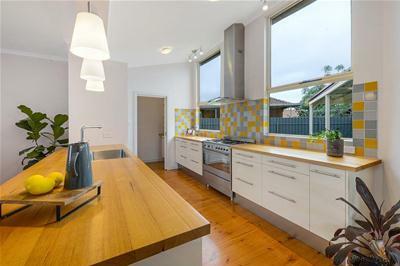 The kitchen boasts solid timber bench tops and a tri-coloured tiled splashback, as well as Smeg European appliances that include a stainless-steel 900mm stove/oven and dishwasher. 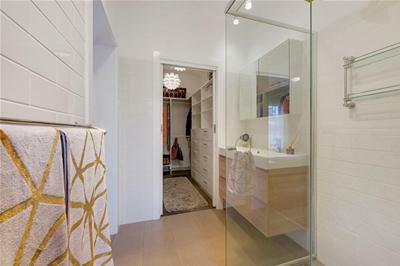 Extra storage space is provided by a walk-in pantry. 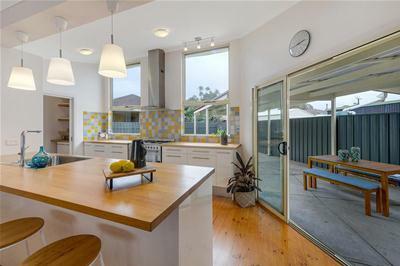 Stacked sliding doors in the kitchen lead out to the spacious entertaining/BBQ area. 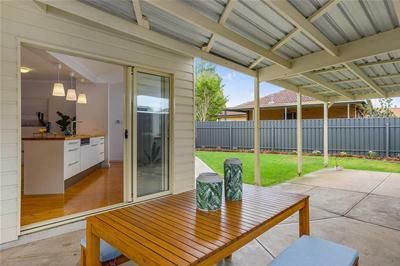 An extensive covered carport complete with storage sheds sits behind an auto door. 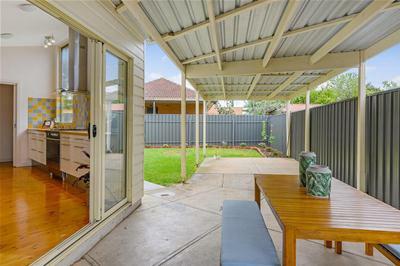 The backyard has lawn and a large capacity rain water tank. 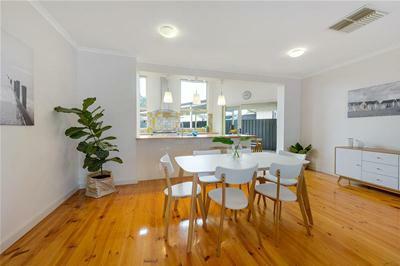 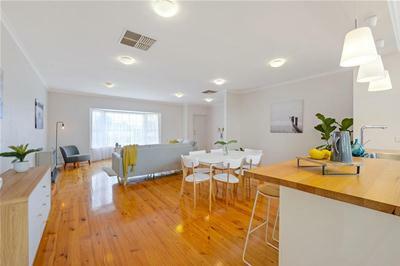 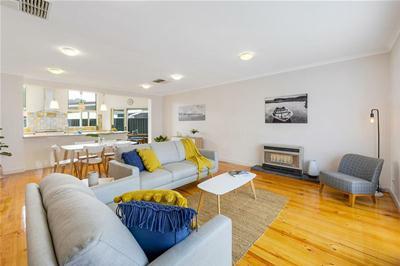 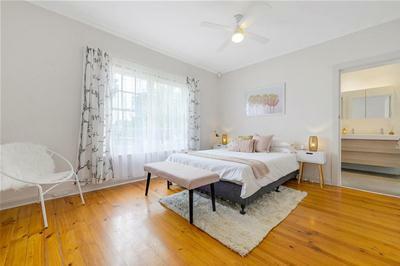 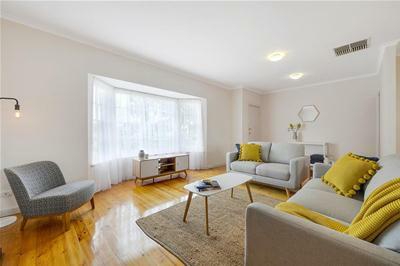 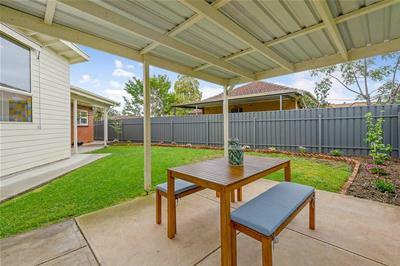 The home is well located within walking distance of Torrens Linear Park, convenient to Marden Shopping, public transport and the CBD.